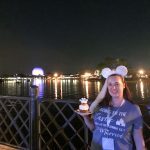 Tokyo Disneyland, could you PLEASE stop being so adorable??? 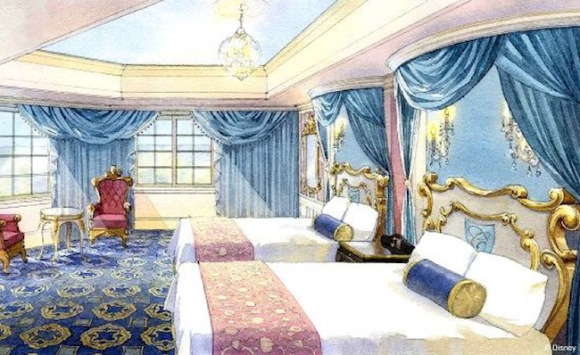 The latest kawaii addition to the TDL Resort are these themed rooms at the Tokyo Disneyland Hotel. Select rooms have been renovated to subtly represent either Tinkerbell, Beauty and the Beast, or Alice in Wonderland (and Cinderella rooms are coming later). Which room would you choose to stay in? Let’s just plan our trip already! The following descriptions are from the Tokyo Disneyland Hotel website. 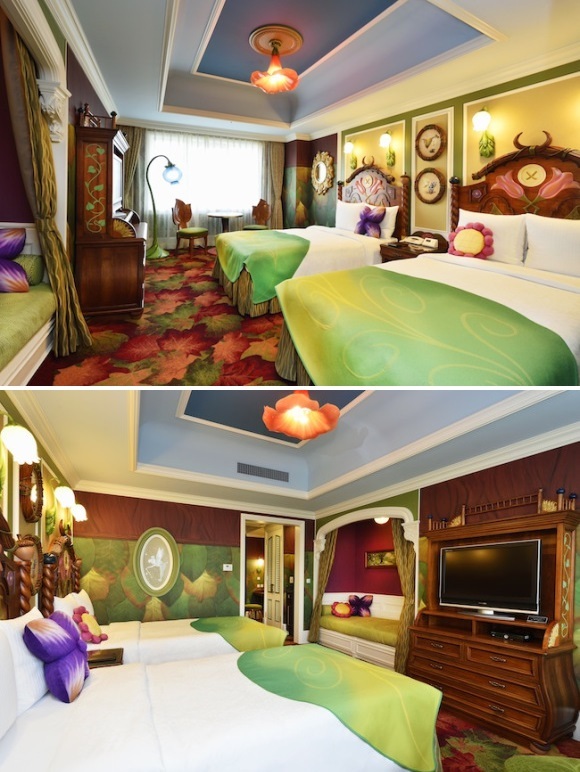 Guests can enjoy the world of the Disney film Tinker Bell in these rooms. 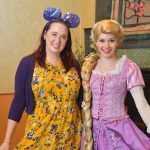 The interior design features the huge flowers and plants that that are certain make Guests feel like they are one of Tinker Bell’s friends living in Pixie Hollow. The ambiance of the Disney classic film Alice in Wonderland can be enjoyed in these rooms. 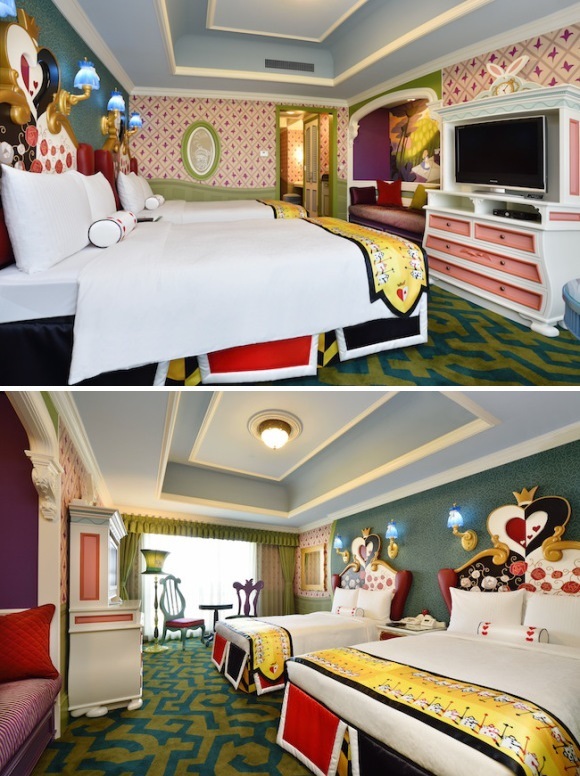 The room interior, including the beds and other furniture, is designed with motifs of the Queen of Hearts, the Card Soldiers, the Cheshire Cat and other images from the Disney film. 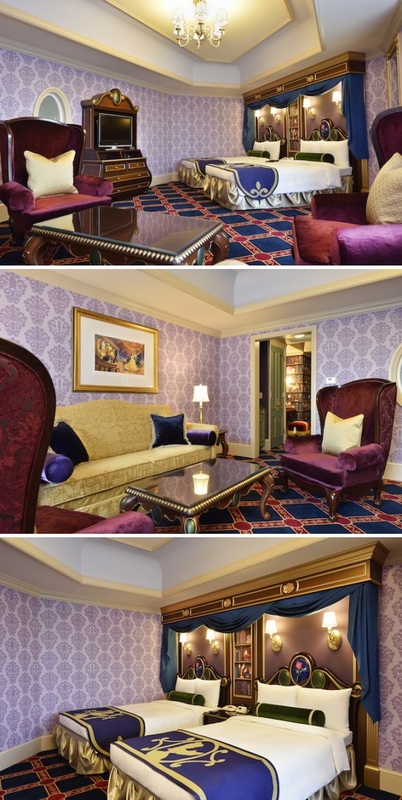 These rooms are themed to the Disney classic film Beauty and the Beast. 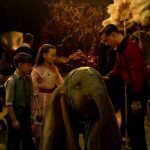 Woven into the design of the room interior are motifs from the film, like the library Belle was so fond of and the ballroom where she danced with the Beast. 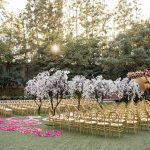 Imbued with the ambiance of the Disney classic film Cinderella, the graceful blue interior of these rooms calls to mind the gown Cinderella wore to the ball where Prince Charming was waiting. 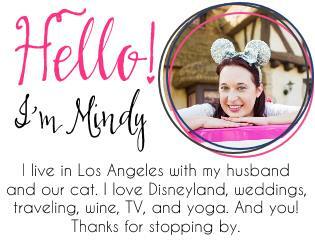 Guests can spend an elegant time as if invited to the castle. Alice, Tink, Beauty and the Beast and Cindy, in that order.